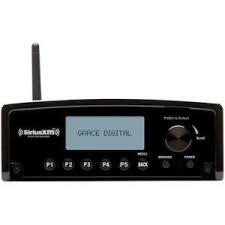 The Commercial Tuner uses a high speed internet connection to play the amazing programming of SiriusXM Internet Music for Business. Great business music is all your customers and employees will hear. Just connect the tuner to the internet and you’re ready to go! Keep a look out for the brand new Sirus/XM Internet Media Player for business, coming soon! 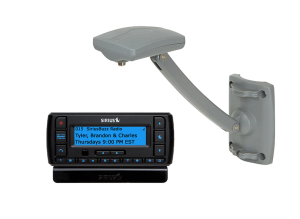 The Stratus 6 radio features an easy-to-read blue display, simple navigation and all of the essential features you need to enjoy SiriusXM Music for Business. The Outdoor Antenna ensures that you get the best possible signal for your satellite radio.